This early March day is a very special one for Betsilda, a young Shipibo woman from the Indigenous community of San Francisco in Ucayali, Perú. Today, she is one of 30 participants who will receive their University certificate in territorial governance in a ceremony at the Amazon Intercultural University in Pucallpa, Perú. Betsilda is one of 9 women who have graduated from the Norad-funded Capacity Building Programme on Indigenous Territorial Governance (PFGTI, by its Spanish acronym) in Perú, and is part of the largest cohort of Indigenous women, 48 in total, attending the same trainings in countries across the Amazon. These women, along with 73 male students, come from communities that have access to very few, if any, capacity building programs. Indigenous Peoples’ capacity to govern their territories has a clear connection to climate change. Deforestation rates within tenured Indigenous lands are lower than in other forests, and Indigenous and communally held lands hold about a quarter of aboveground global carbon stores. However, Indigenous communities in the Amazon often confront the daily challenges of territorial governance, as well as external threats, with scarce resources and tools and almost no opportunities to strengthen their capacities. And though they represent nearly 70% of the Amazon region’s Indigenous population, the voices of women and young people are generally not included, because territorial governance issues are usually considered "men's affairs." But this reality is changing. Designed over a two year process by Forest Trends as part of the AIME consortium, Indigenous organizations, university partners, and WWF, the PFGTI provides practical tools to manage the problems facing Indigenous Amazonian territories of Brazil, Colombia, Ecuador, and Perú. In addition to focusing on community members rather than representatives of Indigenous organizations, the PFGTI offers a formal capacity building program to others who are often not targeted participants. One of the conditions for a community to participate addresses this issue of access directly – of the four students each community elects to participate, at least one must be a woman, one must be a young person, and one must be an elder. In addition to instruction, the PFGTI also has an immediate practical application. As part of their participation, students must develop a territorial governance project for their community. These are as varied as each community’s needs, and include projects focusing on women’s role in collecting native seeds as a strategy to increase food security, direct learning from community elders to strengthen traditional territorial management practices, and control and surveillance methods to protect sacred sites from external threats. Participation numbers alone could illustrate the desire for this kind of information and support. The first cohort of students, which includes Betsilda, has 121 students enrolled across the four countries ranging in age between 14 and 70 years. Twenty different Indigenous groups are represented. 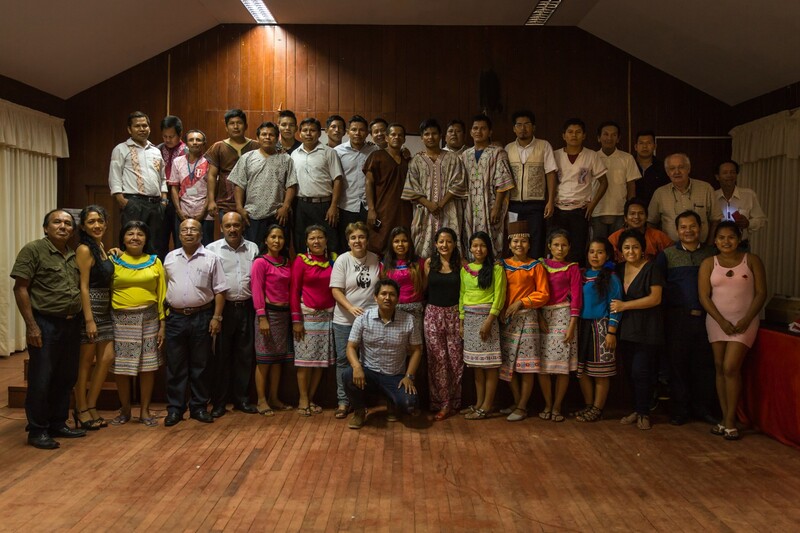 After the graduation ceremony, Betsilda and the other Peruvian students returned to their communities with their certificates in hand and a slate of governance projects already up and running. WWF-Peru is already planning to expand the program into additional communities. Students in Ecuador and Colombia will earn their certificates mid-summer, and in Brazil by the end of the year. 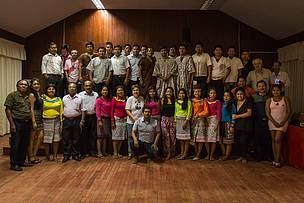 Carlos, a Shipibo man, underscored the personal and community benefits from his participation. “Now I feel capable of facing any situation, and I know how to orient myself, where to go, and who I need to talk to. That is what was missing in my community, [but now] each one of us, as authorities, knows what is the right direction."